I'm so looking forward to attending Blogpodium this week. For those of you not familiar with it, Blogpodium is a conference for design and lifestyle influencers. We're going to attend some informative sessions, hear from wonderful speakers and meet with sponsoring companies. Best of all, many of the bloggers from my #12monthsofdiy group will be there. Most of them I'll be meeting in real life for the first time. Read on for a list of what I'll be taking with me to Blogpodium. At the top of the list is business cards. 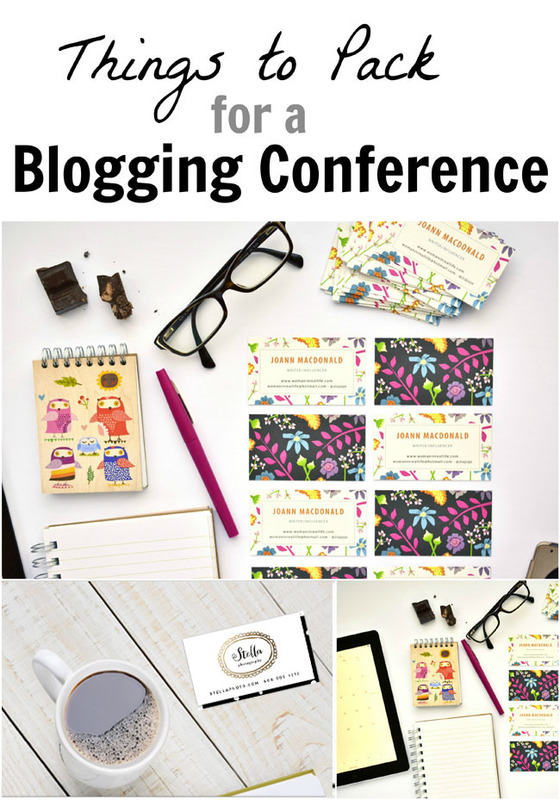 It's essential to have business cards handy for a blogging conference, to share contact information with potential future sponsors and also to keep in touch with the other bloggers you're sure to meet. 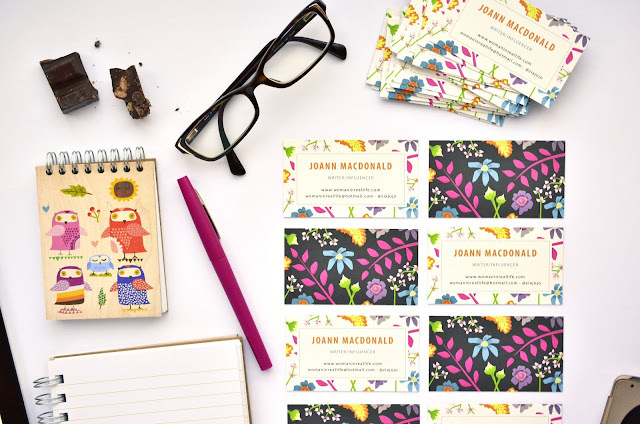 I chose business cards from Minted. Not only is Minted one of the sponsors of Blogpodium 2016, but they also make gorgeous stationery. 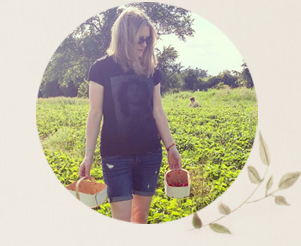 I have gotten children's art from Minted in the past, as well as beautiful stationery and party decor. I use my business cards for two purposes, as I am both a freelance writer and a blogger. With that in mind, my last business card had lots of information, including my address and phone number. I decided to do the complete opposite with my new business cards, including only my name, title, website url, email address and Twitter/Instagram handle. This way I can hand my card out freely without revealing personal information. Surely most people are used to getting in touch by email anyway. The artwork you see on Minted is sourced from a global marketplace of independent artists. 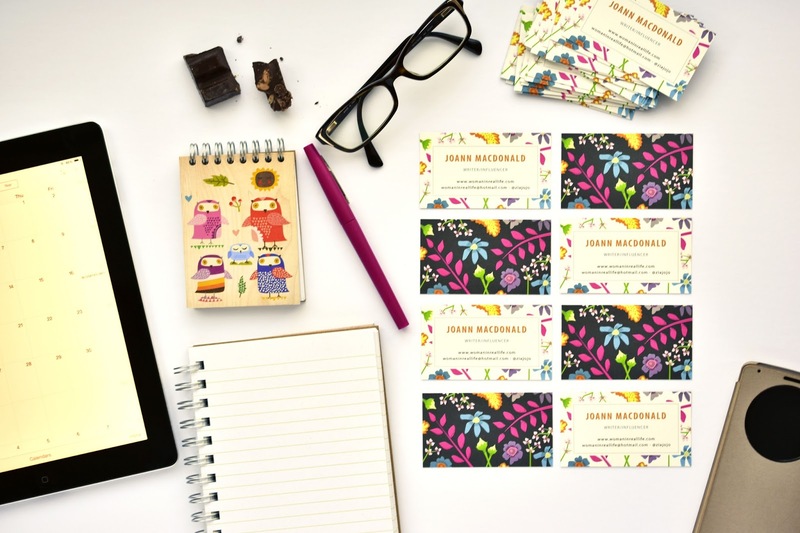 The "Wild Flowers" business cards I chose were designed by Åsa Ranneby from Stockholm, Sweden. She aims for sweet simplicity in her Scandinavian designs. I chose the base type of paper (called signature) and it is quite thick and lovely. Minted has other options such as pearlescent and double-thick as well. Best of all, you get a free proof by email, so you can double-check your design. You do not want to have a typo on your business cards (especially when you're a writer!). I think I read the proof of my business cards about 14 times! I never pack light, whether for a day's outing, a weekend or a week-long trip. Here are some of the items I'll be popping in my bag to take to Blogpodium. What do you pack for a conference (blogging or other)? What information do you include on your business cards? *This post is sponsored by Minted. Thank you for supporting the awesome companies that partner with Woman in Real Life.